Well, I guess we saw this coming. Walmart is ending their Savings Catcher App. Back in the fall they moved it to Walmart Pay only. Which probably significantly decreased it’s use. 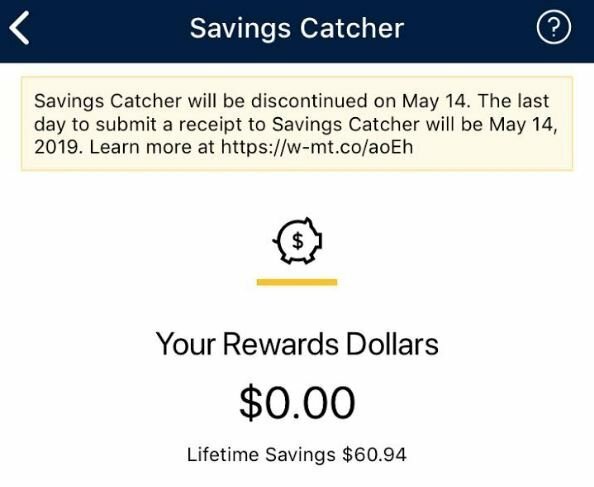 Now we know that the last day to redeem receipts on Savings Catcher is May 14, 2019. The good news is that any money you have earned will stay in your account until you use it. What does Walmart say about the change? We designed Savings Catcher as a means to catch occasions when a competitor’s price on a nationally advertised item was found to be lower than what you paid for it at Walmart. Since the introduction of the program, we’ve worked hard to lower prices on thousands of everyday items across our stores, which has resulted in our prices winning the vast majority of the time when you submit receipts to Savings Catcher. This tells us that the program’s intent has been met, which was to provide you upfront with everday low prices so that you and your family can save money and live better. 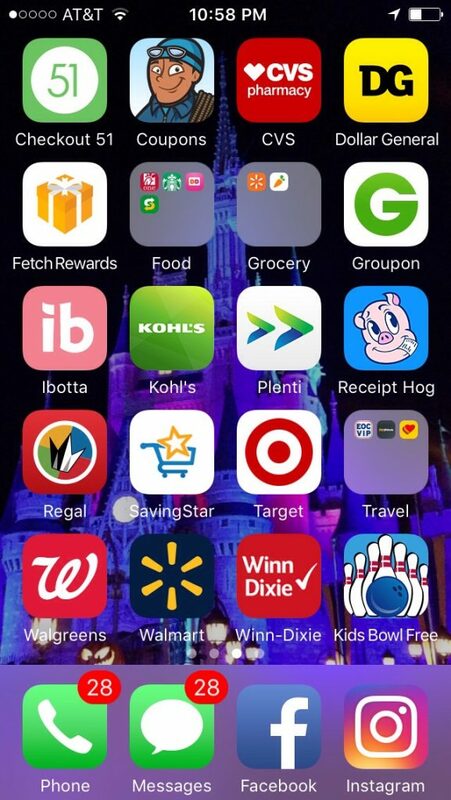 Check out this list for more apps you can use to save money on your groceries!